Reducing inflammation and improving gut health – two of the cornerstones of The 131 Method – are absolutely essential for hormone balance. Unfortunately, thanks to things like high stress levels, exposure to artificial light and an abundance of chemicals and xenoestrogens in our environment (that behave as endocrine disruptors), sometimes we need a little extra support to balance out our hormones. Women have the lovely (sarcasm) experience of our hormones fluctuating all month long. The menstrual cycle can be split up into two phases: the follicular phase (from day 1 of your period until ovulation) and the luteal phase (from ovulation to the start of your next period). These two phases have entirely different hormonal environments. When everything happens as it should, we feel good, experience healthy ovulation and have the ability to carry a pregnancy (if that’s the goal). When hormones are not balanced, you may experience debilitating PMS symptoms, difficulty with weight loss, fluid retention, mood disturbances, anovulatory cycles, acne, poor sleep quality and infertility. You already know by now that our body uses healthy fats and key nutrients to build the many hormones that ebb and flow throughout the menstrual cycle. Seed cycling, or seed rotation, is the practice of using the unique nutritional composition of different seeds at different times in the menstrual cycle. The aim is to support the production, release, and metabolism of the right hormones at the right time. 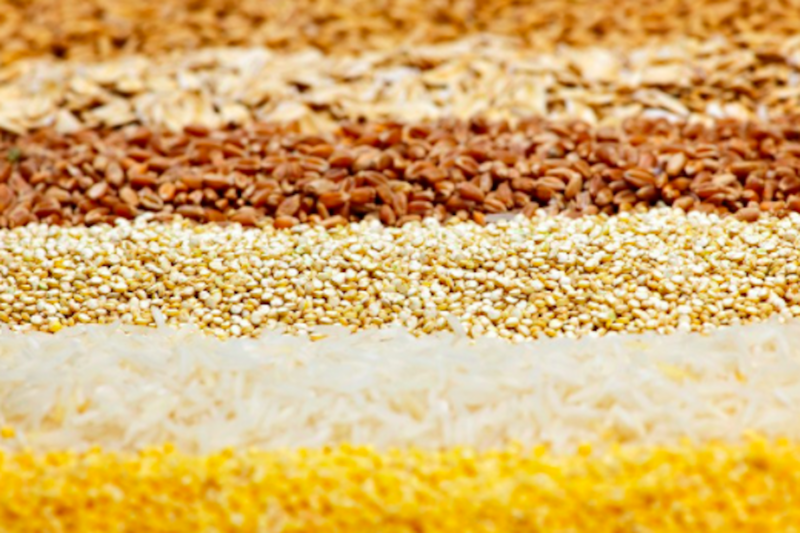 In seed cycling, the essential seeds are flax, pumpkin, sunflower and sesame seeds. You can simply add these seeds to smoothies, on top of yogurt, salads or soups, or even into baked goods. While there is more anecdotal evidence than clinical research about seed cycling, there are several studies that confirm the impact that nutrients from seeds can have on hormonal balance. For example, studies on flax seed ingestion have found that women who took 1 tbsp of ground flax daily experienced less anovulatory cycles and a more favorable progesterone:estradiol ratio (1). We are firm believers in using food as medicine whenever possible and to treat your 131 Method as an experiment to find your optimal health. 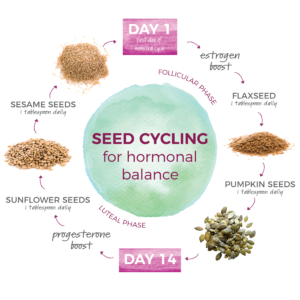 If you suffer from hormonal imbalances, seed cycling may be a simple, low-risk (and enjoyable!) way to help balance out your hormones. The only way to know if it will work for you is to give it a try. Here’s to the power of real food! Is this the same for pregnant women or women in menopause? What about women to have who have gone completely through menopause already… Is there any benefit for us? Hormones are completely different at this stage. Nope! In both of those scenarios, estrogen and progesterone are not cycling as they would in a women who is still getting her period. Great question!